SCE's Vegetation Management oversees some 1.5 million trees in its service territory. Keep trees a safe distance away from power lines. Southern California Edison wants to plant an idea in your mind. “We want people to think before they plant,” said Chuck Dykes, a certified arborist with SCE Vegetation Management which patrols 1.8 million trees across the utility’s 50,000-square-mile territory. Beyond eye-catching aesthetics, think safety before selecting and buying trees, shrubs and other vegetation to reduce the risks of fires, power outages and other public safety hazards that can occur if they grow into or too close to electrical power lines. “Trees and vegetation provide many benefits, such as shade, beauty, energy conservation and crop harvesting for our customers, but they can also present major obstacles in meeting our responsibility to deliver quality power to our customers as safely as possible,” said Andrew S. Martinez, vice president of Safety, Security and Business Resiliency for SCE. 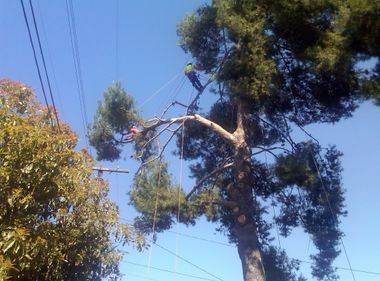 To keep customers safe around electricity, SCE has kicked off a new electrical safety awareness campaign that includes tree-trimming tips. Look for the 15-second video and banner advertisements on digital and social platforms, and the ad on billboards and bus shelters, as well as in movie theaters. Last year, SCE experienced 545 power outages caused by trees, of which 290 involved palm trees. 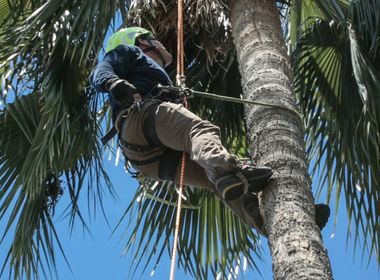 Unlike other tree species, which can be trimmed and pruned to grow away from utility lines, palm trees grow straight up, increasing their risks of growing into overhead power lines. Tree limbs and palm fronds can also weaken and break or fall into power lines during storms. Plant the right tree in the right location. And always look to see if wires are overhead or nearby. A free brochure, “Right Tree, Right Place,” offers SCE’s customers safety tips and a sampling of tree species recommended for planting. And avoid planting bushes or flowers over underground transformers or too close to power poles or overhead equipment. It makes access difficult when crews need to inspect or repair equipment. “A lot of customers really don’t think about that. They don’t know,” said Dykes. Customers may request a vegetation clearance inspection by calling 1-800-655-4555. If action is needed, SCE will send an approved contractor free of charge. SCE also offers a palm tree removal service at no charge. Be aware of overhead power lines before selecting trees and other vegetation to plant in your yard. Choose a different tree or a new location to plant a tree if it conflicts with overhead lines or poles at some point. To determine a safe clearance level, check a tree’s maximum height assumption and its width at maturity. Taller trees should be planted far away from overhead power lines. 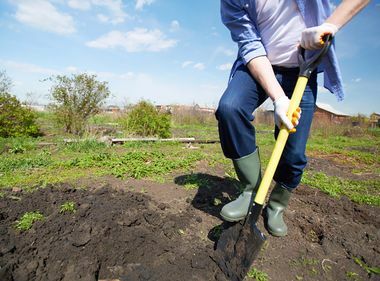 Choose locations that offer plenty of space for trees that will grow taller than 25 feet. They should be at least 20 feet away from power poles or overhead lines when the tree is fully grown. Palm trees should not be planted within 50 feet of power lines. Never trim or prune a tree near a power line yourself. Only SCE-approved contractors should be working within 10 feet of SCE overhead facilities. To learn more about SCE Vegetation Management, click here.